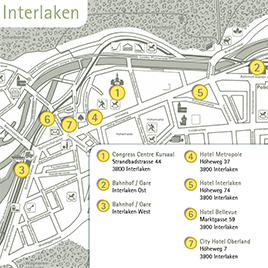 Interlaken is located in the heart of Switzerland, and can be easily reached using public transport or by car. The train station and surrounding hotels are within walking distance of the Congress Centre. No expensive transfers needed. Over 3'500 rooms are available in 3, 4 and 5 star hotels. 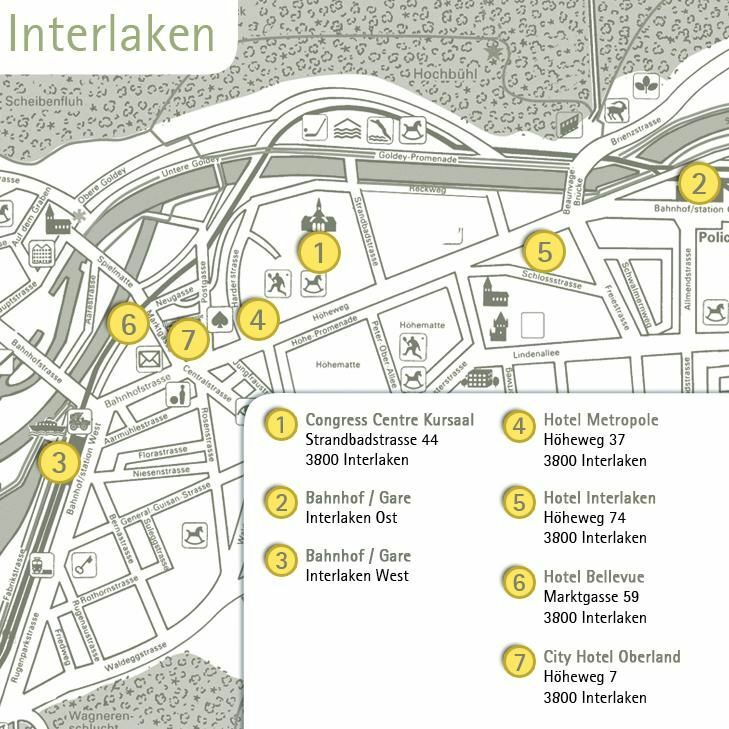 Interlaken can be easily reached from all airports in Switzerland. The Bern-Belp Airport is just one hour's drive away from Interlaken. 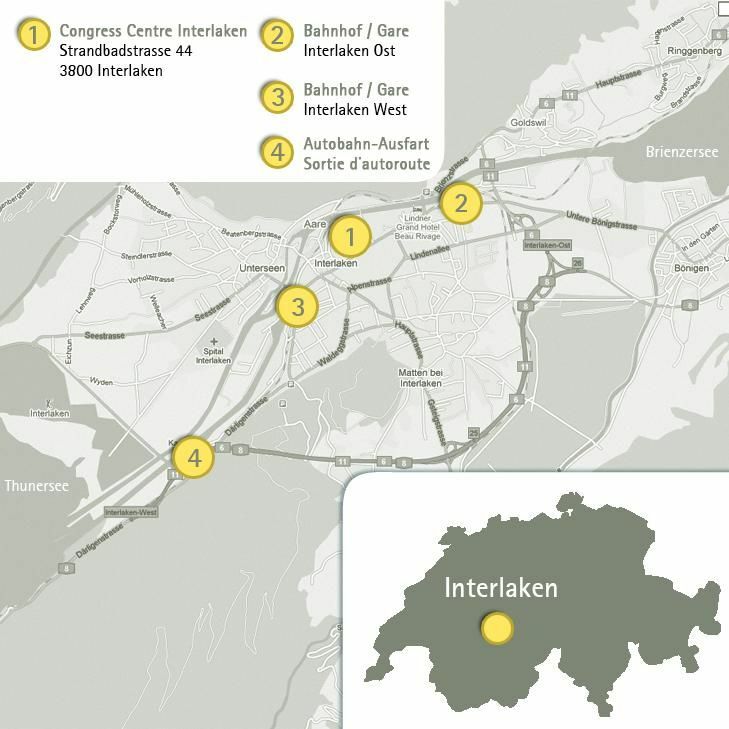 ou will find a large number of parking spaces directly outside the Congress Centre; day tickets cost CHF 8.- (only for parking spaces of the Congress Centre), while 24 hour tickets cost CHF 12.- (only for parking spaces of the municipality). The tickets are available at the reception of the Congress Centre. Interlaken West train station, approx. 13 minutes walk or taxi.